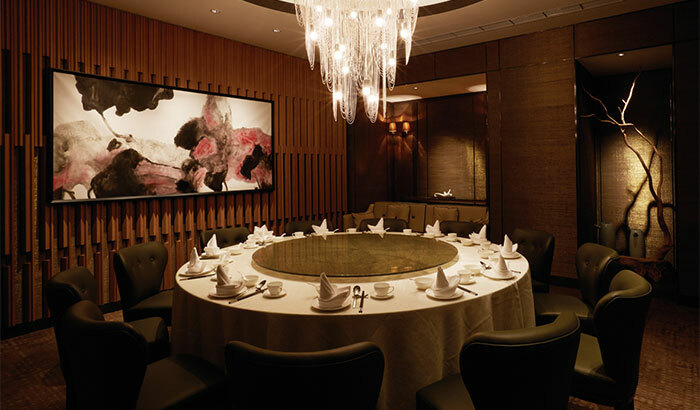 Fine dining Chinese restaurant complemented with handcrafted art installations. 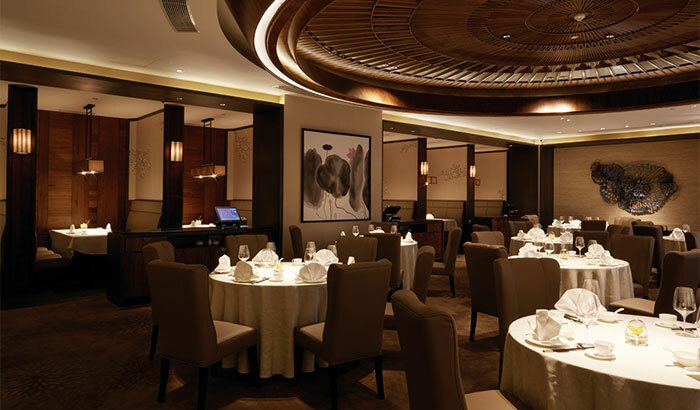 Imperial Treasure continues doing what it does best with fine dining. 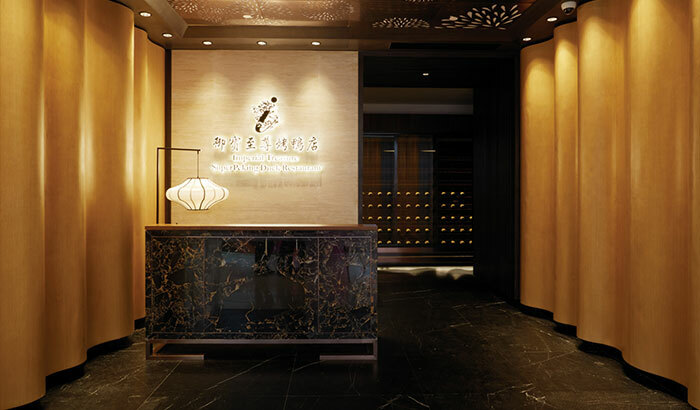 Situated in Hongqiao Tiandi, the latest travel and entertainment hub of West Shanghai, Super Peking Duck fine dining concept cocoons VVIP guests in privacy where hearty laughters can be shared behind closed doors. 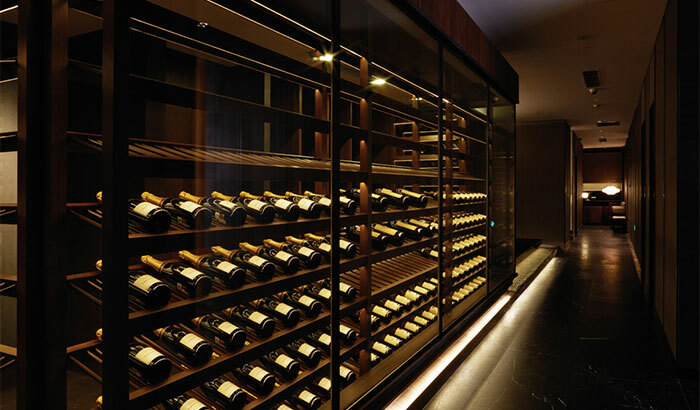 Within the space, an array of handcrafted art pieces complete the modern fine dining experience. 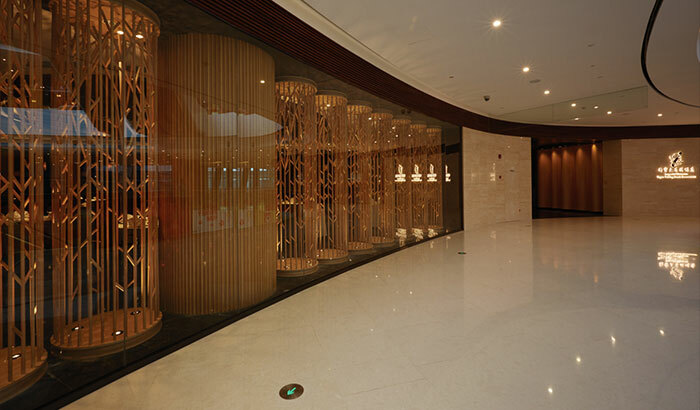 Leading the walkway towards the entrance is a lattice screen installation that resembles an elegant bamboo forest, masterfully carved out by skillful Chinese craftsmen. Upon entering, wavy wood wall panels extend a warm welcome into the dining area. 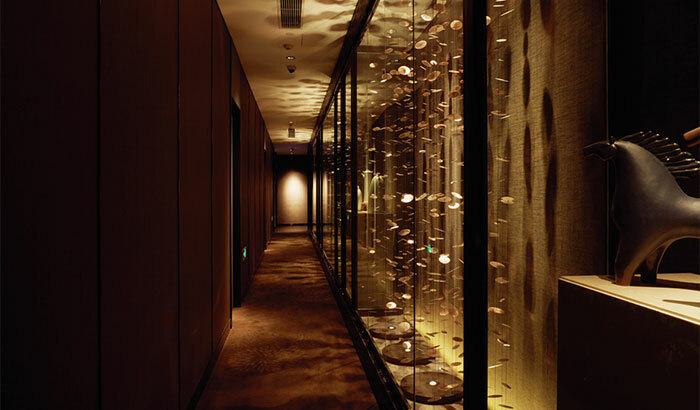 A long plane of art installation with strings of seemingly suspended circular discs lines the corridor into the private dining rooms where each of the four VVIP rooms sports varying designs and curation of furniture including customised lighting features to provide guests with an exclusive fine dining experience. 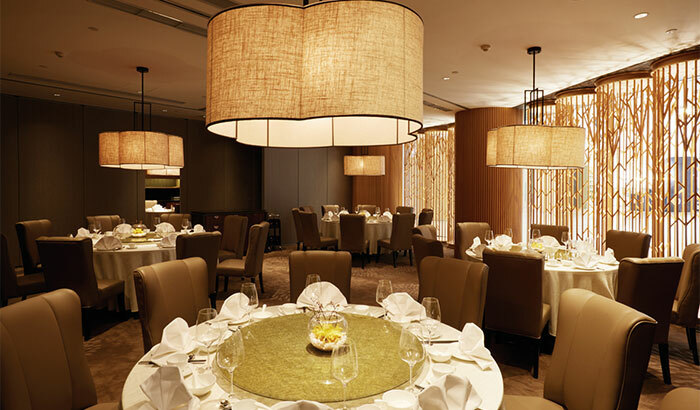 The Chinese elements within the space are kept minimal, so that the ambiance is restrained, yet reminding guests of the Chinese dining experience.